In honor of National Children’s Dental Health Month, we have taken upon ourselves to create this guide for parents. Though children may not understand the importance of oral health, it is still vital that they regularly brush their teeth. By enforcing a positive environment, you can encourage your children to foster good dental practices they will carry with them for the rest of their lives. Typically, good dental practices are the best way to ensure healthy teeth. By following this guide, we will learn new ways to encourage your children to brush their pearly whites! Electric toothbrushes are a great way to fully clean your teeth. Though, of course, some electric toothbrushes can be hard on the gums, the older your child is the better. Electric toothbrushes work to alleviate any built up acid in your mouth, while also giving each nook and cranny a good clean. If your child does not like electric toothbrushes, we suggest a traditional toothbrush. Regardless of the style of the toothbrush, it is important that you replace your child’s toothbrush every three to four months. When the bristles start to become frayed, they are less likely to “get the job done.” Also, by getting a new toothbrush, you can give your child to optimize their own toothbrush. Customization is a benefit everyone enjoys — big or small! So, when the four months are up, it is important to be enthusiastic about picking out new brushes. This will not only excite your child, but make them far more likely to use their brand new toothbrush. It is best to brush your teeth with your child to also make the experience fun. For instance, brushing your teeth alone can be mundane. But, with someone else with you, the experience can be more fun and enjoyable. It may sound odd, but brushing your teeth with someone else can even distract you from the actual act of brushing your teeth. If you are being silly around your child while brushing their teeth, they could associate fun with dental health. Toothpaste can be a fun item for children to pick out. Today, there are hundreds of different options for toothpaste from minty paste to bubblegum gel paste. Because of this, allowing your child to choose which toothpaste can go a long way, in terms of their opinion of it. Oral health isn’t something that parents need to simply encourage passively, they actually need to enforce it. By not brushing their teeth, children can develop terrible tooth decay, cavities, and even varying levels of dental erosion. Because of this, as a parent, you need to do your best to make the experience enjoyable for your child, rather than a mandated chore. Offer your child a choice in their toothpaste and be the first step in proving that the action isn’t that bad. Providing children with a choice in what they do can help them feel like they are more in control of their lives. By choosing something, even as small as their toothpaste, they are given the ability to choose how to live their lives. Positive reinforcement has been implemented for centuries. If the behavioral psychology experiment by Ivan Pavlov has taught us anything, it is that humans can be conditionally trained by using a reward system. Now, this is not to say that you should train your child to like brushing their teeth like Pavlov trained his dogs to salivate at the sound of a bell, but it is important to note how powerful positive reinforcement can be. If you reward your child in some way after they have brushed their teeth well, they will be more likely to do it again and again — even long after you stop giving them their rewards. By conditioning your child to brush thoroughly in order to receive a reward, they will be more likely to carry positive brushing habits into adulthood. But what rewards should you use? For most things, giving your child a treat, such as a cookie or a warm glass of milk will work. However, after they have brushed their teeth, the last thing you want to give them is sugary items. After all, the sugar that is left on their teeth can lead to dental decay. So, what should you give them? Well, if your child likes to do something in particular before bed, such as reading their favorite book or watching their favorite television program, this can be an excellent reward. By offering your child an opportunity to watch their favorite show, play with their toys, read, or anything they enjoy, this can remind them that brushing their teeth is necessary for their daily and nightly routines. In order to get what they want, they will have to brush their teeth thoroughly. It is important to make brushing time fun! No one enjoys being forced to do something, which is why you will need to make the experience of morning and night brushing enjoyable. Now, of course, you don’t have to give your child presents every time they pick up a toothbrush, however, it is important to reward them with positive accolades. Aside from boosting their confidence, it is also important to be as positive about daily brushings as possible. During this time, it is okay to be silly in front of your child. Use brushing time as a way to bond with your child, crank some tunes, and bust a move. Who said you have to be still while brushing your teeth? Make the time brushing teeth fun, and your child is sure to enjoy it and carry on those practices throughout their life. Chess and Taub Family Dentistry is here to assist all families in the Jenkintown area. Our dental services are extensive, as we serve young and old in their dental needs. Because we are pediatric dentists, we encourage all parents to create a positive environment for oral health to flourish. Too many times we see that adults have bad teeth due to dental practices they adopted when they were children. 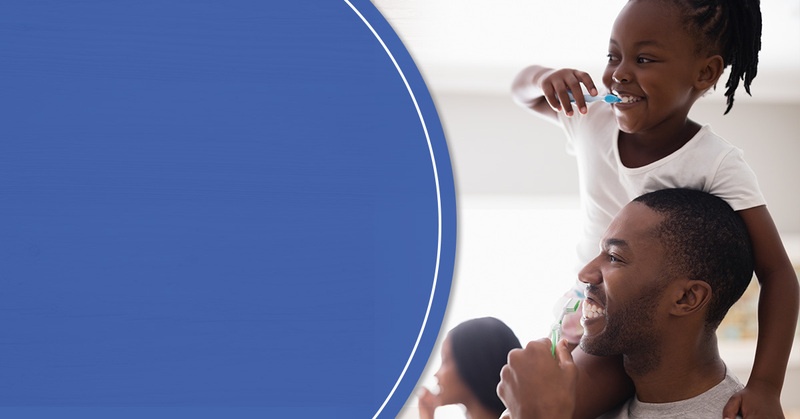 Make sure your child has the best oral health by using positive dental health practices.